HealthyWage « They Said What? Do employees cheat in outcomes-based wellness programs? Of course not. Who would ever gain weight in order to be paid to lose it? That would be dishonest and unhealthy. This massive scale of cheating — two-thirds of all employees cheat in wellness — is well-known but suppressed by self-proclaimed “scientists” in the field, whose livelihoods would be in jeopardy if they acknowledged the scale of the cheating. Our typical blog post — not including home pages and related pages — gets about 2500 hits over the course of the year in which it is posted. But you’ll see that #3 on the 2018 list is: “How to cheat in a corporate weight-loss contest.” Almost every day that particular post racks up 15-25 hits, giving it 6388 for 2018. I used to assume that some other, more popular, blog was linking to it, but I can see linked blogs too on the Site Stats page, and there weren’t any. What is driving this continuing popularity? That also explains how we could get so many hits and yet so few comments and Facebook reposts. No one wants to be caught. “Only 6,388 employees” clicked through despite noting from the first lines (as you can see) that this article really wasn’t a guide to cheating. This post is way down at the bottom of the front page. 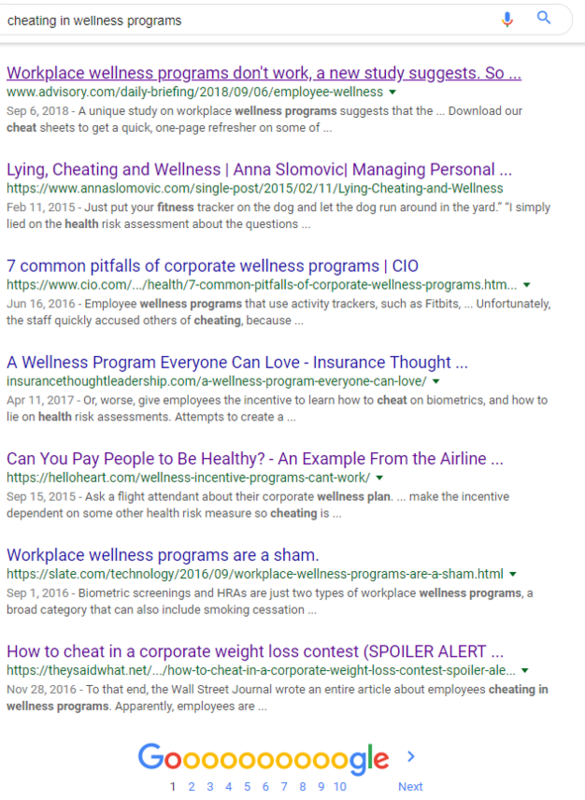 The #2 source of click-throughs to this article is Slate’s masterful expose called Workplace Wellness Programs are a Sham, also on the first page of google hits above, which itself links to us–meaning that employees are also clicking through on that article in the same search. The 6,388 excludes the gazillion employees who don’t need to google anything in order to realize that the winning strategy in any outcomes-based wellness program or crash-dieting contest is to binge before the initial weigh-in and crash-diet before the final one — and of course lie on the risk assessment. The keywords that drive traffic to this site, according to Alexa? #3 — after Bravo and Wellsteps, two vendors who are “in the news” constantly — is “Healthywage Cheating.” Healthywage is the leading crash-dieting contest vendor. 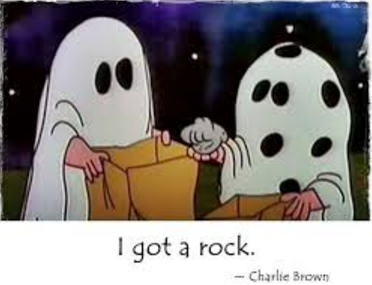 Employees who don’t drink, smoke, use drugs, or occasionally indulge in foods other than broccoli and kelp have no need to cheat. They will also derive no benefit from wellness programs and employers will save no money on them, not even any make-believe savings that wellness vendors routinely claim. It is estimated that only 3% of people do everything right, health-wise. That mean the pool of potential cheaters is 97%. How many of the potential cheaters are actually cheating? Review your own statistics yourself. 70% of employees drink, including 10% who drink more than 30 drinks a week. How many of your employees indicated on their HRA that they drink that much? Zero, you say? What a coincidence! That’s what all the other employer-administered HRAs conclude as well. How many employees admitted drinking at all? If you said 20%, that would match the number claimed by Wellsteps for their award-winning program. That means slightly more than 2/3 of all drinkers — half your employees — are lying. Not because they’re inherently dishonest, but because you are basically asking them to lie in order to stay out of trouble. What kind of trouble? 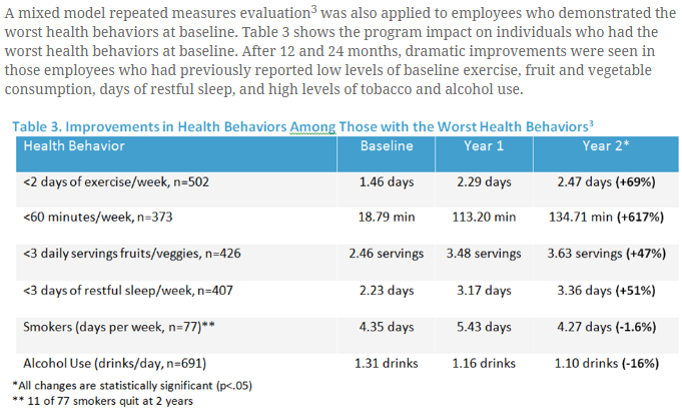 Wellsteps called consumption of any alcohol a “worst health behavior,” shaming employees who admitted to even occasional social drinking. Nonetheless they fully accepted as fact the 20% drinking rate statistic. By encouraging all this lying, Wellsteps helped this employer, the Boise School District, create a culture of deceit instead of a culture of health. Kudos. Now consider smoking. For that we turn to the industry’s leading source of alternative facts, Ron Goetzel. He “found” that for the years 2012-2014, 5.5% of his surveyed workers smoked, overlooking the statistical 12.3% of employees — roughly 2/3 of all smokers — who lied. Yet, like Wellsteps with the drinking, Mr. Goetzel presented this statistically impossible 5.5% as fact. It’s not a coincidence that roughly the same proportion of smokers and drinkers lie. Nor is it a coincidence that these two “scientists,” as they call themselves, decided not to disclose the lies. Since they claim to be “among the most credible and conscientious scientists and practitioners working in corporate wellness today,” this is much more likely to be a deliberate omission than a rookie mistake, especially since I’ve informed them of this disparity and many other obvious misstatements many times and they usually just doubled down. Lying to employers about personal behaviors is human nature. Most employees don’t want to disclose potentially damaging information, and think, quite justifiably, that if they give their employer 100% during working hours, their off-hours behavior is none of their employer’s business. How can cheating in wellness be prevented? For those two studies, Mr. Goetzel and Wellsteps were only encouraging employees to lie to their employers and cheat on the programs. The majority of employees responded predictably. By contrast, when you run an outcomes-based wellness program with large fines, or hold annual crash-dieting contests, you’re not just encouraging employees to lie and cheat. You’re practically begging your employees to lie and cheat. In crash-dieting contests, employees form teams, and strategize on how to binge and then crash-diet, allowing them to lose far more weight in 8-16 weeks than is healthy. Any team not intending to cheat wouldn’t even bother to compete. Teams that do want to compete will visit websites teaching them how to cheat, and which appetite suppressants and weight-loss pills to buy in order to win. Wouldn’t it be great if there were a wellness vendor which, instead of denying human nature about cheating, channeled it? Instead of bragging about ferreting out “fraudulent participants,” made cheating part of the fun? There’s a word for that, and it’s not “impossible.” It’s “Quizzify.” Employees can rack up points for correct answers…and they are encouraged to look them up before selecting their response from the multiple-choice list. That way they are more likely to remember them. And, unlike “how to cheat in wellness,” if you google on “How to cheat on Quizzify,” you won’t find any advice on cheating — other than Quizzify’s own rules urging employees to do exactly that. I have several new posts ready to go — the usual suspects acting out in their usual hilarious fashion — but this is a serious post. It is time for wellness vendors to stop harassing employees about their weight. A new article summarizing the voluminous data on the futility and harms of weight-shaming just appeared. It doesn’t contain new data, but rather presents the existing evidence in a clear and compelling format. This article finds fault in the physician community, but the wellness industry (the outcomes-based companies and their enablers at the Health Enhancement Research Organization (and their enabler-in-chief, Ron Goetzel) is even worse because they tie money to weight loss. They give employees a financial reason to binge before the first weigh-in and then dehydrate themselves and crash-diet before the last one. This does nobody any good, except of course the outcomes-based wellness vendors — like Interactive Health, Wellsteps, Wellness Corporate Solutions, Staywell, Bravo, Total Wellness, Star Wellness, Health Fitness Corporation and probably a host of others. 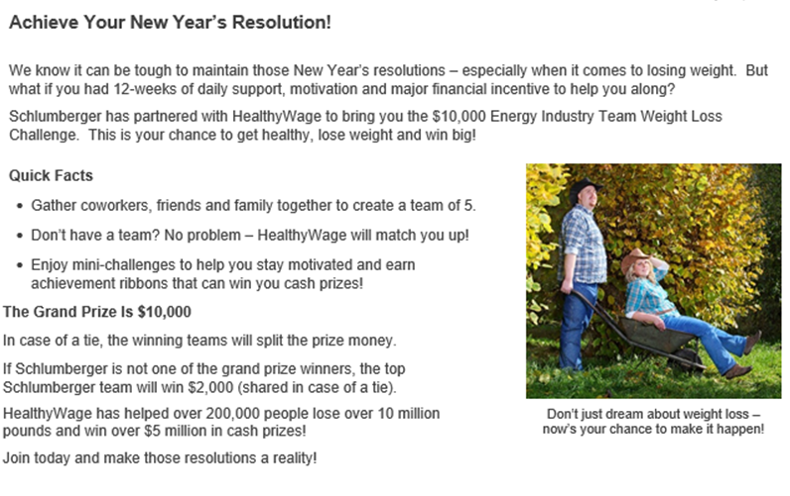 And there is a special dishonorable mention for HealthyWage, whose entire business model is corporate crash-dieting contests. They aren’t going to agree to stop on their own, any more than Monsanto stopped making DDT on its own volition. They need to have it made clear that this behavior won’t be tolerated any more. A starting point is this linkedin post. Like it, comment on it, share it. Once we get to 100 likes and comments, and we’re already more than halfway, I can probably generate media attention. Should your employees get annual checkups? May 29, 2018 7:54 am / 2 Comments on Should your employees get annual checkups? Note that this blog post is my personal posting and does not necessarily represent the views of any organization with which I am affiliated, other than the one with which I am most closely associated, and of which I am one of the founders. I am referring, as everybody knows, to the Needham Frisbee Club. People who play Ultimate 3 times a week don’t need no stinkin’ checkups. I have no clue why wellness vendors hate information so much. Perhaps they are repressing childhood memories of being bitten by a librarian. A far-fetched theory, perhaps, but there is simply no other explanation for half the things half these very stable geniuses insist upon doing. In many cases, reams of information demonstrating the futility, fallacies and even harms of what they do is right there — begging to be googled — and yet no one in the wellness industry (or at least the wellness companies “profiled” on this site — there are plenty of exceptions listed at www.ethicalwellness.org) does. Before we get into the checkups, consider some other information gaps, like the eight-glasses-of-water urban legend. 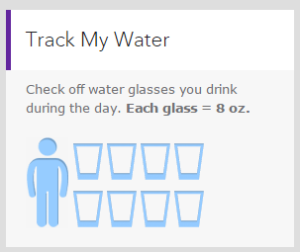 Anyone with an internet connection can easily learn that you do not have to drink eight glasses of water a day, and the whole meme was completely made up. 70 years ago someone estimated that humans require that much water a day — but also that basically everyone with access to water already gets that much without having to force themselves to drink when they aren’t thirsty. Maybe WCS should combine those two competitions — along with their massive overscreening campaigns — to create a competition to reward employees for doing the most stupid things to themselves. There are a few subtleties beyond these words. 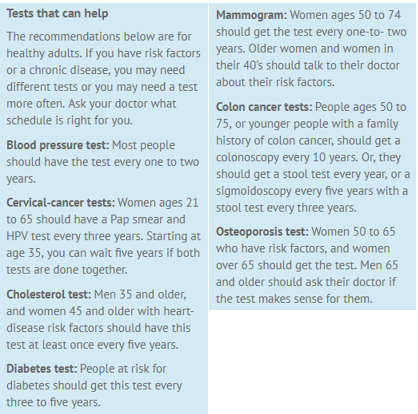 “People at risk for diabetes” (under “Diabetes test”) would include people with high blood pressure or family history (which wellness vendors can’t ask about). It would also include people who are overweight or obese. Additionally, “members of certain ethnic/racial groups may be at increased risk at a lower body mass or a younger age.” Otherwise, it’s quite clear that cardio screenings should begin at 35 for males and 45 for females, and take place “at least once every five years” after that. 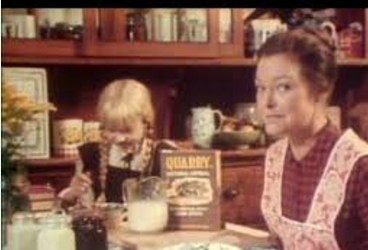 Finally, let’s once again review the aforementioned crash-dieting contests, a staple of many wellness programs besides Wellness Corporate Solutions. Schlumberger, for example, pays out thousands of dollars to the team which does the best job packing on the pounds in December and then taking them off in January. “Just plain fun,” is how their ironically named vendor, HealthyWages, describes it. None of these vendors have apparently seen the CDC’s advisory memo warning that crash-dieting is futile, likely counter-productive, and possibly harmful. Let’s cut to the chase: there is not one shred of evidence that annual checkups are a good idea for asymptomatic working-age employees. There are many good reasons to go to the doctor — you notice a change in some aspect of your body, you want to develop a plan to improve your health, you need help managing a chronic disease, or even that you’re sick — but here’s what’s not among them: the earth completing a revolution of the sun. “Less worry” is not necessarily a good thing. An employee (name on request after an NDA — not a made-up person) had a checkup in order to collect a wellness incentive…and as a result of being told not to worry, ignored heart attack symptoms about a week later. None of this takes into account the cost of annual checkups — which often lead to more unneeded and expensive tests and prescriptions, as JAMA notes — but we have definitely observed that wellness vendors and even some HR departments don’t really care about costs. It’s not their money. Here is Reuters on the high and unneeded cost of prevention. Here is The Incidental Economist on the same subject. Meanwhile, I’ve yet to find a wellness program that does not either pay employees to get checkups or fine them if they don’t — or shunt them into a worse health plan unless they submit to an annual physical. I would also note that, however useless annual checkups are to begin with, they are likely even more useless if someone is visiting the doctor because their benefits department is forcing them to do so, against their will. 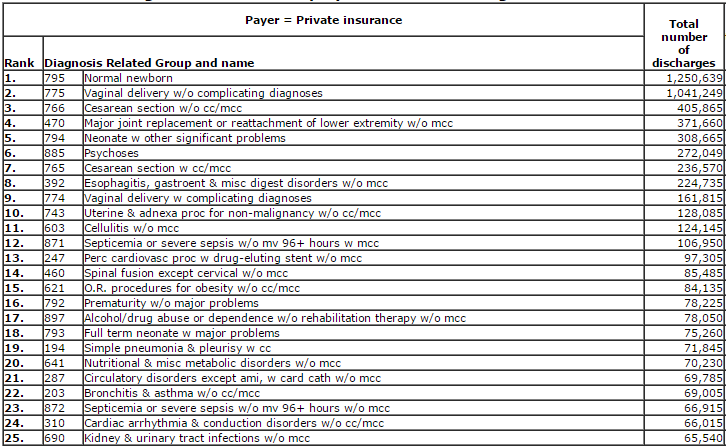 Finally, there isn’t exactly a surplus of primary care doctors. 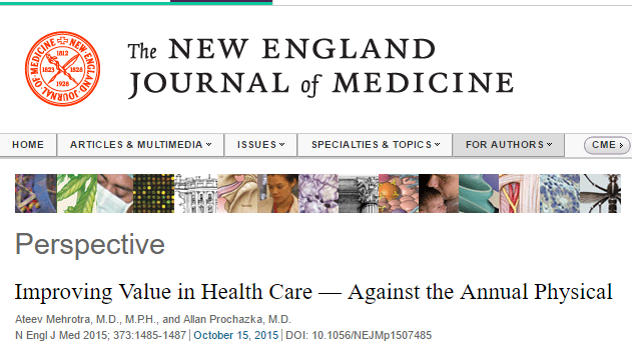 Why are we paying healthy employees to take up clinician time that unhealthy employees might actually need? What is the argument in favor of checkups? If checkups don’t actually prevent anything, why make employees undergo them? Two reasons have been proposed. One is that employees can “build a relationship” with their PCP. This of course assumes that neither the employee nor the PCP ever retires, moves or changes jobs. It also assumes that somehow the things that affect employees can be prevented by having a “relationship” with a PCP. However, if you look at the list of the most frequent reasons for hospitalization among the working-age population, it’s kinda hard to find anything that fits that description. Can you think of any disease in your own life that would be cured by a relationship with a PCP? I can’t think of only one problem — chronic heartburn — that my PCP could have prevented. But she didn’t. The PCP was perfectly happy to keep me on Prevacid, which, as Quizzify teaches (right on the home page quiz! ), is likely harmful in long-term use. Fortunately, I happened to run into a yogurt salesman one day, who told me about active-culture yogurt. Within days my heartburn was gone, never to return. The hope is that the [Bravo] program will get people to proactively see their physicians to manage their health risks. Yes, this will, hopefully, mean more prescription drug utilization and office visits, but fewer heart attacks and cancers and strokes. It isn’t his money, so he is perfectly fine with employees “hopefully” spending more on drugs and office visits. On the other hand, there is no information supporting his claim that all this spending and all these checkups will prevent all these diseases. Quite the contrary, 100% of available information reaches the opposite conclusion — especially JAMA, which specifically measured mortality due to heart attacks, cancers and strokes and found no improvement. You’ll fine zero information suggesting the contrary finding, no matter how hard you search. Perhaps when he was a toddler, Mr. Pshock’s parents threw him into an entire cage of librarians. What is the best frequency for checkups? Pay the fines on overdue books. In the wellness industry’s epidemic of very stable geniusitis, Healthywage is Patient Einstein. Pound Town has lost 10% of its weight in 4 weeks. Figure — as a conservative estimate — the average participant weighed 200 pounds at weigh-in. A 9.86% loss of body weight equates to more than 19 pounds, almost 5 pounds a week. The Centers for Disease Control (CDC) recommends 1-2 pounds/week. The better CDC recommendations include not crash-dieting at all, but rather improving your health and fitness, at your current weight, because rapid weight loss likely leads to rapid weight regain, and possibly even slows metabolism so that one could regain more than one loses. However, the CDC recommendations didn’t take into account that weight regain is a big part of what makes this contest work. Employees can win the $10,000 in 2018 — and then regain the weight in order to enter again in 2019. Is this a great country or what? Health has nothing to do with it, of course. It’s about making Schlumberger shareholders proud again. At Schlumberger, Today is Take-Your-Stupid-Wellness-Vendor-to-Work Day. January 22, 2018 8:08 am / 5 Comments on At Schlumberger, Today is Take-Your-Stupid-Wellness-Vendor-to-Work Day. 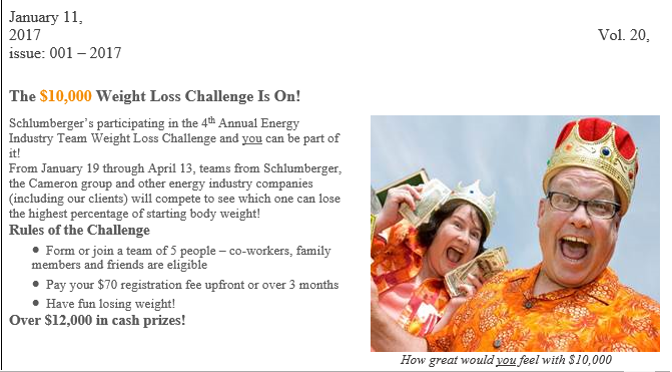 Once again, having been snake-charmed by HeathyWage, Schlumberger is offering a crash-dieting contest, starting today, January 22. Once again, they are ignoring every iota of research that says crash-dieting is a complete waste of time. It may also harm you. Once again, they are offering a whopping $10,000 prize to the winning team. Research shows that the vast majority of people who participate in weight loss programs will eventually gain their weight back after the program ends. Many will also gain back more than they lose. The weight cycling that occurs with repeated participation in weight loss programs may have negative effects on their health. 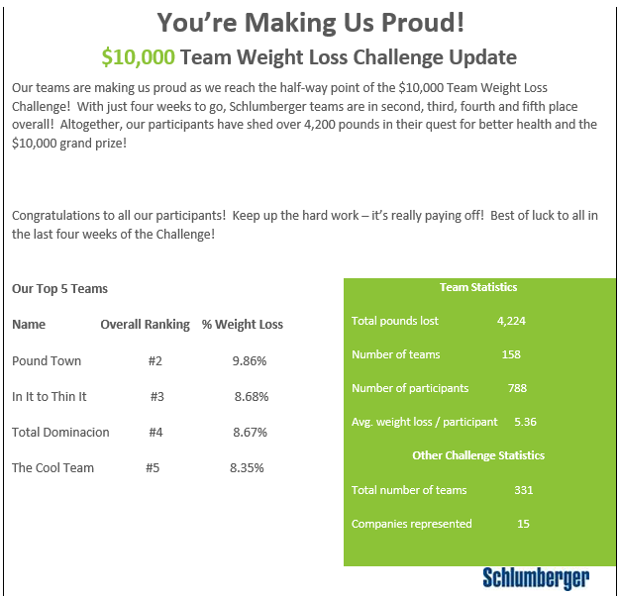 It’s also slightly possible that offering a $10,000 prize (for a team of five) could exacerbate the harms of weight-cycling just a tiny bit by encouraging employees to binge, bloat, salt and constipate themselves before the first weigh-in. But no team would ever do that, right? After all, it’s not worth sacrificing your ethics or harming yourself in order to win a measly $2000/team member. On the weigh-in day, avoid the bathroom before weigh-in if you can, and minimize your activity, another big glass of whole milk with your breakfast that contains some salty options will help you retain more water. If you are also going to get your waist measured, drink about half a can of root beer. Sounds gross, but the carbonation and salt will give you are really good belly bloat…If they are measuring your waist, wear some pants that are snug around the waist, or add a tight belt that hits below your belly button, this will create some fluid buildup in your belly area. At this point you should be a big bloated sloshing mess that needs to go to the bathroom really bad. This is the perfect time to get weighed and measured. If you are getting measured, poor posture can get you another inch and a half, so go for it. It’s getting to be New Year’s resolution time and many companies will try and “encourage” weight loss with a “Biggest Loser” type contest. Frankly, this is really a bad idea, as it can create all kinds of bad habits and damaging activities by the participants, as they starve, dehydrate and supplement themselves in an effort to win. Of course, this being the wellness industry, it may be all five. *How does a 50-pound weight loss compare to other companies? Pfizer won a Koop Award because its participating employees were able to lose — get ready — four ounces. Six if you measure against the two ounces gained by non-participants. In all fairness, Pfizer’s program was not exactly intensive. “Participate” was defined as “open an email with a message in it.” The good news is that opening an email isn’t going to harm anyone. Plus you never know what a message will contain. Open this link to see an example. 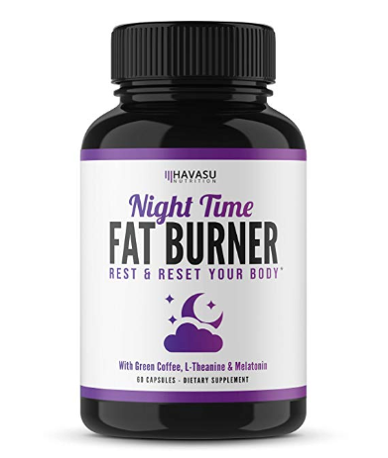 Recently we described how to cheat one of those worthless, hazardous corporate crash-dieting contests, like the ones run by Wellness Corporate Solutions or HealthyWages or Virgin Pulse (nee ShapeUp). But we didn’t interview any employees who actually did. Journalist and wellness expert Pat Barone, writing in LifeZette (Laura Ingraham’s popular online magazine) managed to do just that. She found some employees who “confessed” (bragged about) the ways they snooker these vendors — and of course their own employers –every year, starting again in most cases next month. These employers, like Schlumberger, think they are creating a culture of wellness when in reality they are creating a culture of deceit, diet pills and dyspepsia. Why would any employer sponsor one of these contests? Simple: in wellness, stupid is the new black. I don’t want to spoil your fun reading the article by giving away all the punchlines, but the keywords are carbs, sodium, and rocks. All the things that employees should eat, as part of a healthy diet. OK, maybe not too many vitamins but certainly lots of minerals.